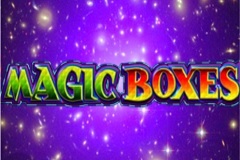 Largely based around the items used by a magician, Magic Boxes is a 5 reel, 25 payline pokie from Microgaming which comes complete with a few bonus tricks up its’ sleeve that can bring in some nice winnings. Although it has a definite dark and mysterious appearance, it can brighten up anyone’s day with free spins, multipliers, wild substitutions, the option to bet from 0.01 to 100.00 per spin and a gamble round. Above the reels is a nice image of an old-time theatre, with the footlights and those strange masks that represent comedy and drama on show. It’s all bathed in a reddish hue and looks very effective. To the sides of the reels are the payline indicators, while below them is the control panel where players can set their bet sizes. Although it’s possible to stake just 0.01 on a spin, that would only activate 1 of the 25 pay lines, so to qualify for all winning combinations that land on the reels, players should be looking to wager at least 0.25 per spin, while they can adjust the amount per line up to 4.00 if they want to go for the maximum 100.00 bet. 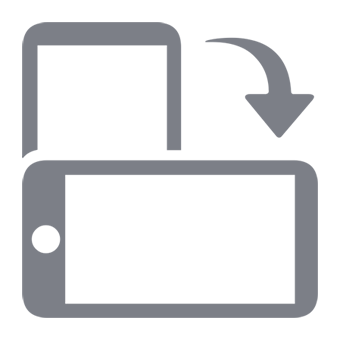 The View Pays button takes them to a table that lists what each symbol will be worth when at least 3 or more land across an active line running from the left side. Lots of pokies use the high card symbols 9, 10, J, Q, K and A to fill in the reels and pay out the lower value prizes, with Magic Boxes being no exception, but at least they are adorned with little images of crystal ball, a magicians’ cane and so on. To win the bigger prizes, players will be looking for the magic wand, his top hat and a couple of toys like a spinning top and wooden train that don’t seem to have much of a connection to the game but they look OK anyway. The red, blue and green magic boxes are all wild symbols, so they will count as all others except the scatter symbol if that will help players complete a winning line. The boxes themselves don’t have any value when they make up a line on their own though. The other bonus symbol is the 8-ball scatter, which triggers a side game and also pays scatter wins that are multiples of the total amount bet on a spin, rather than the amount staked on a line, which is the case for all others. If 3, 4 or 5 scatters stop anywhere on the reels, players are awarded 8, 16 or 24 free spins respectively, and during these games the magic boxes develop some special qualities. If the red box completes a winning line, the value will be doubled, while the green box triples it and the blue box will quadruple any win that it helps to make. If boxes of different colours work together to complete a line, the highest-value prize will be awarded. Keen gamblers might like to try multiplying any winning combination by entering an optional Double-Up round where they can double a win by correctly guessing if a playing card will be red or black, while multiplying the win by 4x is possible if they get the correct suit. With a correct guess they can either collect the win or repeat the gamble for an even bigger payout, while a wrong guess at any stage loses both the triggering bet and any gamble wins earned so far. Despite having a slightly confused theme, (magic or kids’ toys? ), Magic Boxes still looks good and comes with some of the interesting bonus features that Microgaming pokies are so well known for. Some players get a bit fed up of seeing the same old playing card symbols across so many games, but at least they clearly indicate which ones are the lowest value. It’s a shame that the wild symbols don’t have any value of their own, while it’s always worth pointing out that double-up games carry a lot of risk and tend to be a good way of turning a winning bet into a loser, rather than turning a small win into a bigger one. But these are minor issues and of course the gamble round is optional, so overall Magic Boxes has a lot going for it.